CACi provides results without complaints. CACi outperforms the “industry leaders” in student loan collections on defaulted private loans with a faster and higher netback to our clients, AND with nearly no complaints. CACi does not focus on earning your Federal Loan business or rehabilitation programs. We focus on finding and working with students in a complaint free solutions oriented environment to recover your private loan money. Most students want to avoid default. 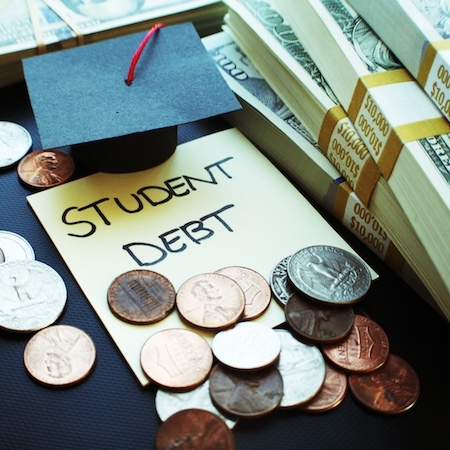 Many facilities simply do not have the resources to proactively contact the growing number of students entering repayment. CACi does. Through strategic telephone and letter and e-mail campaigns, CACi reaches out to students and works with them to avoid default. The face of debt collection efforts have transformed over recent years. With technological capabilities reaching new heights, your accounts will receive efficient and effective efforts that will accelerate and increase your liquidation. CACi processes accounts through our custom analytics system, then segregates them based on payment probability and efforts necessary to motivate payment. Many college students move immediately after leaving school. Our team skip-traces accounts prior to treatment, providing updated information and additional contact touch points. Additionally, your accounts are treated by trained and certified collectors who will protect your positive public image and maintain the dignity of your customer base, while accelerating the recovery of your bad debt. Whether your staff is down, a system glitch causes an accounts receivable bubble, or you are entering or surviving a system conversion, you now have additional accounts receivable that are aging and you simply don’t have the resources to play catch up and stay timely on current tasks. In cases like these, CACi has the capabilities to step in and treat your entire accounts receivable log jam, or specific portions of it, while allowing your team to focus on your newest receivables. The continuous functionality of your team is critical to your business success. Unfortunately interruptions happen when people miss work, sometimes for extended periods of time. Even when employee attendance is not an issue, occasionally an additional project or increased workload overburdens even the most efficient teams. In these instances, CACi can place trained professionals either at your location or remotely at our location (when granted access to your system) to alleviate the pressures of missing staff or an increased workload. CACi Certified Instructors can provide your in-house team with workshops that will enhance their collection expertise, communication proficiency and re-energize them to want to do their jobs better. Consistently we have been told by collectors and managers both that the CACi Collection Workshops are the most valuable workshops they have attended. Often times these online or in person workshops are conducted with no or little charge to existing clients.